Sergey Yu. 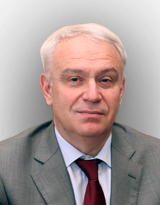 Martsevich – MD, PhD, Professor, Head of Department of Preventive Pharmacotherapy. Petroverigsky per. 10, Moscow, 101990.